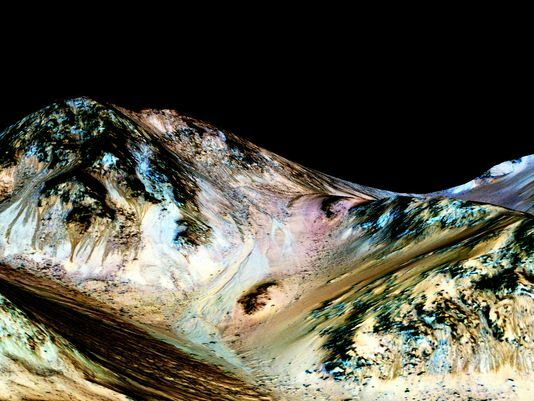 NASA Discovers Flowing Water on Mars. So What's Next? Watch astronaut Scott Kelly talk to Larry King about the research he and NASA are conducting aboard the space station that would be used in a manned mission to Mars. We are living in an exciting time in the realm of space exploration: the ever-growing number of exoplanets being discovered (most recently in July with Kepler 452b, a.k.a "Earth's cousin"), NASA astronaut Scott Kelly's historic, year-long mission aboard the International Space Station, the new images of Pluto that shocked even the scientists behind them, and now, NASA's announcement that recent, flowing water exists on Mars. But what does this latest discovery mean for the future of space exploration? At least two things appear to be certain. First, where there is water, therein lies the heightened possibility that life -- if only microscopic -- exists beyond Earth. Second, that a manned mission to Mars is now all the more likely. Larry King Now recently spoke with astronaut Scott Kelly aboard the International Space Station where he spoke about the essential research he is conducting (and being used for) that will aide in a possible manned mission to Mars. Fun fact: The challenges of human survival on Mars features prominently in the upcoming Matt Damon science fiction film, The Martian. In the clip below, Kelly also spoke about the physical toll prolonged missions in space can take on the body. And then there are the age-old questions: Is there intelligent life out there? And, if so, are they looking at us? Two scientists from NASA who work at the Jet Propulsion Laboratory gave us their expert opinions in the clip below. Do you believe we are alone in the universe? Or like David Bowie sang, could there be life on Mars?